Secretary Foxx began by agreeing that the past history of automotive driving systems was quite different. Regulations have typically been written years or decades after technologies have been deployed. And written regulations tend to involve standards which the vendors self-certify their compliance with. What this means is that there is not a government test center that confirms a car complies with the rules in the safety standards. Instead, the vendor certifies they are following the rules. If they certify falsely, that can get them in trouble later with regulators, and more importantly, in lawsuits. It’s by far the best approach unless the vendors have shown that they can’t be trusted in spite of the fear of these actions. But Foxx said that they were going to go against that history and consider “pre-market regulation.” Regular readers will know I think that’s an unwise idea, and so do many regulators, who admit that we don’t know enough about the final form of the technology to regulate yet. Fortunately, it was also suggested that NHTSA’s new documents would be more in the form of “guidance” for states. Many states ask NHTSA to help them write self-driving car regulations. Which gets us to a statement that was echoed by several speakers to justify federal regulation, “Nobody wants 50 different regulations” on these cars. At first, that seems obvious. I mean, who would want it to be that complex? Clearly, it’s simpler to have to deal with only one set of regulations. But while that’s true, it doesn’t mean it’s the best idea. They are overestimating the work involved in dealing with different regulations, and underestimating the value of having the ability for states to experiment with new ideas in regulation, and the value of having states compete on who can write the best regulations. If regulations differed so much between states as to require different hardware, that makes a stronger case. But most probable, we are talking about rules that affect the software. That can be annoying, but it’s just annoying. A car can switch what rules it follows in software when it crosses a border with no trouble. It already has to, just because of the different rules of the road found in every state, and indeed, every city and even every street! Having a few different policies state-by-state is no big addition. Jurisdictional competition is a good thing though, particularly with emerging technologies. Let some states do it wrong, and others do it better, at least at the start. Let them compete to bring the technology first to their region, and invent new ideas on how to regulate something the world has never seen. Over time these regulations can be normalized. By the time people are making 10s of millions of robocars, that normalization will make more sense. But most vendors only plan to deploy in just a few states to begin with anyway. If a state feels its regulations are making it harder for the cars to spread to its cities, it can copy the rules of the other state it likes best. The competition assures any mistake is localized — and probably eventually fixed. If California follows through with banning unmanned operation, as they have proposed, Texas has said it won’t. I noted that if the hardware has to change, that’s more of an issue. It’s still not that much of an issue, because cars that operate as taxi services will probably never leave their base state. Most of them will have limited operational zones, and except in cities that straddle state borders, they won’t even leave town, let alone leave the state. Some day, the cars might do interstate trips, but even then you can solve this by having one car drive you to the border and then transfer to a car for the other state. Annoying, but only slightly, and not a deal-breaker on the service. A car you own and take on road trips is a different story. The one way having different state regulations would be a burden would be if there were 50 different complex certification processes to go through. Today, the federal government regulates how cars are made and the safety standards for that. The states regulate how cars operate on the roads. 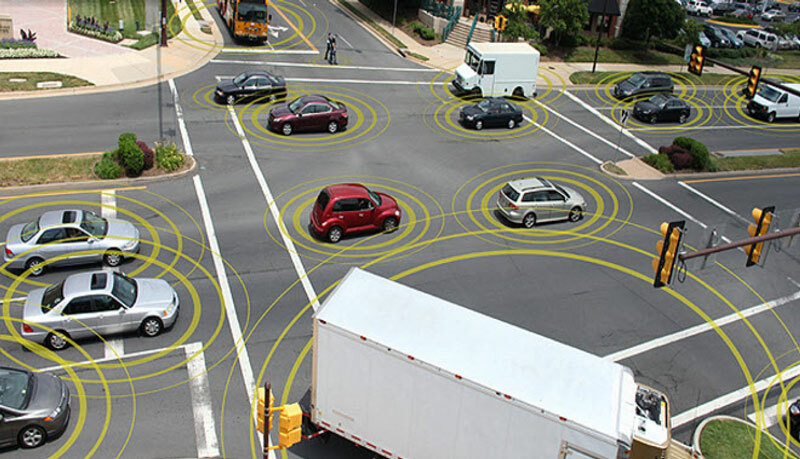 Robocars do blur that line, because how they are made controls how they drive. For now, I still believe the tort system — even though it differs in all 50 states — is the best approach to regulation. It already has all developers highly paranoid about safety. When the day comes for certification, a unified process could make sense, but that day is still very far away. But for the regulations of just how these cars will operate, it might make sense to keep that with the states, even though it’s now part of the design of the car rather than the intentions of a human driver. In time, unified regulations will indeed be desired by all, once we’ve had the time to figure out what the right regulations should be. But today? It’s too soon. Innovation requires variety.